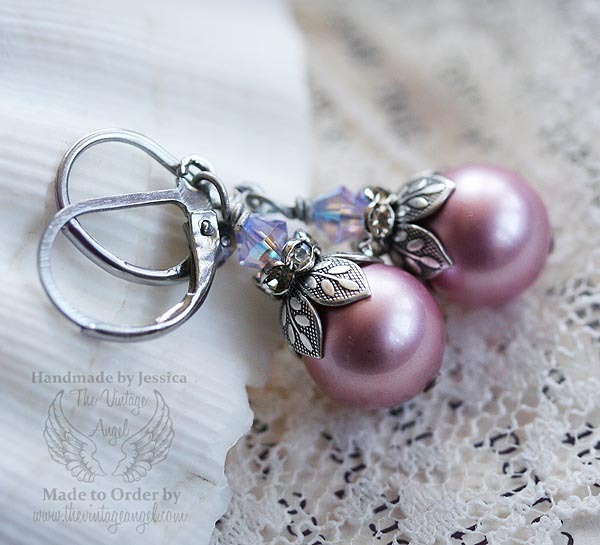 Romantic, Victorian inspired and dainty, these pretty pearl earrings will become your favorite. 10mm light mauve Swarovski pearls are topped with floral bead caps, rhinestone rondelles and gorgeous sparkling Swarovski bicone crystals. Only about 1" long including hooks. Surgical steel leverback hooks for sensitive ears. 1 inch long including hooks.